Our Clinical Service Strategy sets out a clear roadmap for clinical services at Bradford Teaching Hospitals over the next five years. Our mission is to provide the highest quality healthcare at all times. For that reason, we have shaped our strategy around four themes: high quality care, research-led care and learning, collaborative hospital care and connected local care. These themes help describe not just how we will improve the clinical services we offer, but also illustrate the sort of organisation we intend to be, and how we will innovate, improve and work with our partners. We have done a great deal of work already to look at all of our clinical specialties. One of the most important outcomes to emerge is that we are part of a bigger system, and we need to find ways to work in partnership. In the past it was expected that we should act alone, but this model is outdated and must change. Across the NHS, acute hospitals like ours are having to rethink their role and operate as part of a team. Modern healthcare demands collaborative working, multi-disciplinary teams, and a breaking down of old boundaries. 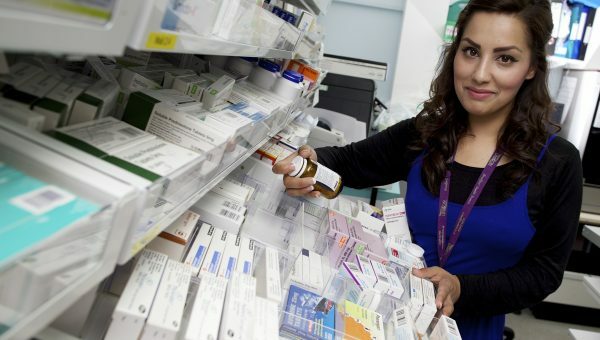 Providers who do not do this will struggle to maintain viable services for their patients because they will not be able to meet the multiple challenges of recruiting and retaining enough skilled people, deliver national standards, balance planned and urgent work, or satisfy ever-increasing demand. At Bradford Teaching Hospitals we see this as a challenge we are well-placed to meet. We are one of only two teaching hospital trusts in West Yorkshire; this offers us a significant opportunity to spearhead the modernisation of the local NHS. We look forward to working with our partners in the Bradford health, care and support system, and other acute providers in West Yorkshire, to ensure the very best services for the population we serve. Our refreshed Clinical Service Strategy signals the start of that journey and underpins the Trust’s five-year integrated business plan and annual planning. It sets out how we will achieve our vision, values and strategic aims by sustaining safe, effective patient care. It will also help us ensure the clinical, financial and operational sustainability of our services for our patients. Strategic objectives are the things we must do in order to make progress on our mission and vision. To collaborate effectively with local and regional partners. Everyone who works in our organisation should be able to show how their own personal objectives or job plan will help to achieve one or more of these five strategic objectives. These five strategic objectives replace a variety of statements that were previously used to identify organisational priorities. Strategic objectives are more short term than the mission or vision statement; the timescale ranges from one to three years, depending on the objective. We will set specific targets for each of these objectives and a trajectory for getting there, and we will publicise our progress. 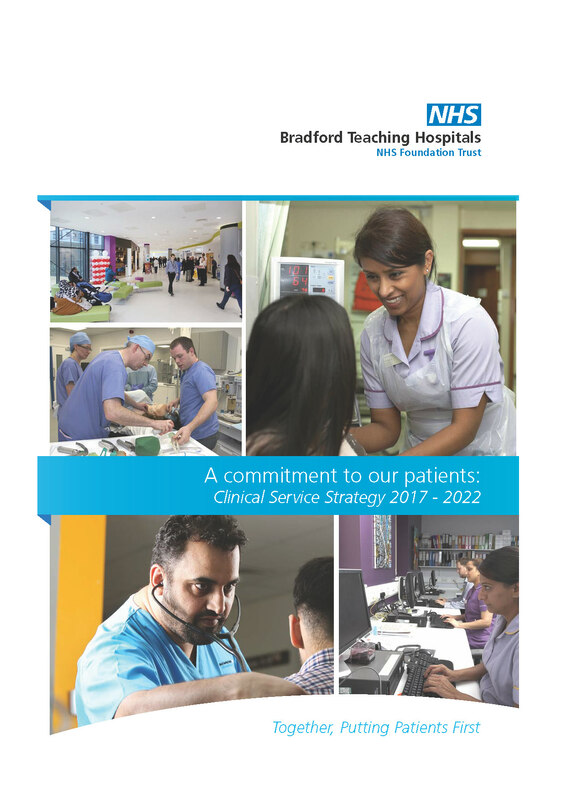 At Bradford Teaching Hospitals NHS Foundation Trust we aim to provide the highest quality healthcare at all times. We strive for excellence and are committed to learning from and leading best practice to make sure we are delivering quality care. We aim to have a workforce representative of the communities we serve so we’re the best place for our patients and our people. As the NHS evolves to meet new challenges and we continue to transform our services and patient care around the needs of our local population, we recognise successful delivery of these changes relies on our people. Our People, Our Future sets out the strategic aims and objectives for our people over the next five years. Without their dedication, commitment, care and compassion we are not able to deliver the care our patients deserve. Please click here to download a copy of Our People, Our Future. Bradford Teaching Hospitals NHS Foundation Trust (BTHFT) will strive to work with partner agencies to keep adults at risk, and children and young people safe. Being safe from harm is a basic human right. People who are vulnerable may need assistance and advocates to ensure their safety and well-being. Bradford Teaching Hospitals will ensure that there are systems and processes in place to promote the safeguarding and well-being of all patients. In line with the Trust’s commitment to putting patients first, safeguarding plans will be person-centred/child-focused. Safeguarding truly is everyone’s responsibility. Identify vulnerable children and adults and ensure all members of staff within the Trust understand their safeguarding responsibilities. Ensure staff within the Trust have the knowledge and resources to identify children or adults ‘at risk’ who may need protection and identify individuals who may be a risk to others. There are clear procedures for reporting concerns. The Trust is an active partner in Bradford Safeguarding Adult and Children Boards and has representation in all their sub-groups as well as the Bradford Domestic and Sexual Violence Strategic Board. BTHFT is committed to working collaboratively with other agencies and sharing information in a safe and appropriate manner, in order to safeguard vulnerable patients. The Trust has effective executive team oversight of safeguarding business within the Trust. The chief nurse is the executive lead for safeguarding and oversees activity, with clear lines of responsibility. The Trust will ensure that dedicated safeguarding children and adult teams are in place and fully- staffed. The board of directors will receive an annual report and interim updates. The Trust has up-to-date safeguarding policies in place to guide staff. They are regularly reviewed and updated. The Trust policies are in accordance with the West Yorkshire Safeguarding Children and Adult procedures. Our safeguarding children and adults teams provide a training strategy in line with national guidance, for the whole workforce, with designated levels of training for staff dependent on their role. Training is provided via e-learning and face-to-face sessions with a varied programme and includes learning from serious case reviews and serious incidents. Safeguarding supervision is encouraged and available for all staff. A newsletter is produced every six months and circulated to all staff. Further information is available from the safeguarding children and adults pages on the Trust intranet. The Trust has a robust recruitment and selection policy and employment checks policy which fully comply with NHS Employment Check standards and DBS checks in relation to employees. In addition, there is a clear policy for allegations against staff. All new staff are required to attend a corporate induction programme at the start of their employment which includes a mandatory face-to-face safeguarding training session. There are transparent governance arrangements to provide robust internal challenges. They are assessed as part of the ‘safe’ domain of CQC inspections. In addition, BTHFT will provide evidence to the commissioners for assurance around safeguarding standards for adults and children. Examples of other types of assurance include Declaration of Section 11 audit data to Bradford Safeguarding Children Board on a regular basis, participation in serious case reviews and domestic homicide reviews, contribution to learning lessons reviews and challenge panels. The Trust continues to be committed to developing a culture of learning from incidents internally and regionally in order to drive up standards. There is a rolling programme of audits to enable a measurement of effective activity and to identify gaps in staff knowledge and service provision. To download a PDF of the above information, click here. Following a requirement from the NHS Chief Nursing Officer England and the Care Quality Commission, all hospitals are required to publish information about the number of nursing and midwifery staff working on each ward, together with the percentage of shifts meeting safe staffing guidelines. We take the care of our patients very seriously and already have a number of mechanisms in place to ensure that our wards are safely staffed, including displaying information for patients and visitors in all of our wards using the Read All About Us Boards. This shows the planned and actual staffing available at the start of every shift. We have recently reviewed our staffing establishments. Each month, our staffing levels are discussed in public at our Trust board meetings and these papers are available on our website. You can download the monthly nurse staffing data board reports from here. The Care Quality Commission (CQC) is the independent health and adult social care regulator. They monitor, inspect and regulate services to make sure the fundamental standards of quality and safety are met. Read more about our ratings. Many of the projects that we run use a recognised approach initially developed by the Institute for Healthcare Improvement, but now used around the world by many improvement bodies and NHS trusts. The first of the tools within this approach is the Breakthrough Series Collaborative. This is a simple project structure which brings together teams from across the Trust to work on a common problem. The teams focus on learning how to systematically make and evaluate change with the support of facilitators who are trained in the approach used. What are we trying to accomplish? An important step in improving is having an aim, this sounds simple but is often missed. It helps teams describe what they want to achieve and when they want to do it by. How will we know whether a change is an improvement? A key part of improvement is understanding whether your change is having the effect that you thought it would. Using and understanding measures means you can quickly spread changes that are effective and forget about those that are not. What changes can we make that will result in improvement? Our staff, who all work in busy wards and departments, almost always know what the issues are and have excellent ideas as to what the solutions to problems should be. This tool helps them to test out those ideas and prove that they work. Testing a change. We use a simple process to test changes on a small scale. This helps us to understand whether they are likely to be effective without causing disruption. Successful changes can then be developed on a wider scale.